Aliki condos in Daytona Beach are a great option if you want to be at the heart of everything “The World’s Most Famous Beach” has to offer. Units here offer some of the largest balconies available along our Atlantic coastline, providing more room for relaxation and spectacular views. At the Aliki you will find comfort in the on-site reception and secured access, while you enjoy the array of private amenities including a heated pool, sauna, picnic area, community room, shuffleboard court, and more. Each floor has 6 units with two entrances. Spacious kitchens, large living rooms with dining area, enormous closet space and storage rooms are just some of the staples of homes here. And, of course, don’t forget you’ll have the white-sanded beach in your backyard for year-round fun in the sun. 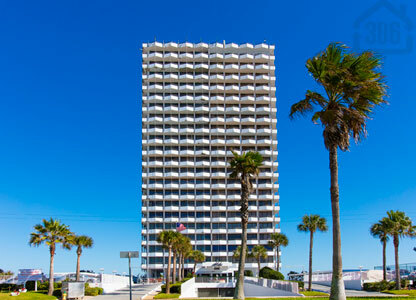 Call us today to explore this building or one of the many other great oceanfront condos in Daytona Beach.